My son loves the TV Show Treehouse Masters. From time to time, I’ll watch the show with him; I like any type of construction show generally speaking and especially respect Pete’s workmanship. The other day I saw this 60-second informational video at the end of the show. At AHS, we spend a great deal of time soliciting and selecting the right contractor for each job. This process is not a one-size-fits-all and a skill all its own. Doing this process over and over again (nationally) since 2006, we’ve become efficient with the process and typically do a good job at screening and selecting the contractor for our jobs. Not every state requires contractors to be licensed. Maryland requires contractors to be licensed by the state but New York does not. You can learn which states require licensing and search for licensed contractors from this referral site. Contractors should carry, at a minimum, general liability and workers compensation insurance coverage and they should provide a certificate of insurance indicating that coverage. Contractors who don’t provide worker’s compensation coverage are typically those who use subcontractors, rather than hire employees, to complete work for clients. Subcontractors are oftentimes paid in cash, a less than ideal for maintaining proof of payment records. Contractors may be required to The state of Maryland did not require me to get bonded but I know others in Maryland who were required to be bonded due to a lack of financial strength. Some contractors may lie. They will provide a bogus reference list. How do you know if the reference was actually a client and not their best friends mother? Here’s what I recommend. Ask the contractor for their references and jobsite addresses. Call the building and permit office in that area and make a public inquiry on the permit history for that address. If there isn’t a history of permits, this doesn’t bode well for the contractor. Either they performed the work without a permit or the reference wasn’t actually their client. With today’s technology, almost everyone is “plugged in” with a cell phone which can email and text. I’m not so concerned with this but I think what’s more important is documenting what happened during the day and any conversations with contractors. Its a great idea to send an email to the contractor after conversations recapping the conversation. For example “just wanted to confirm the relocation of the exterior vent won’t require a permit or a change change order to the contract”. Documenting conversations is extremely important. If its not documented, it didn’t happen. 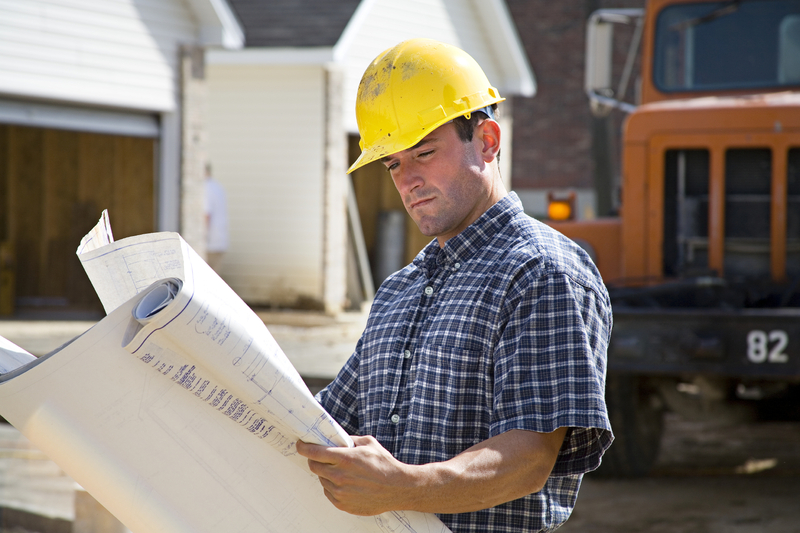 Contractors, assuming the contractor uses a written contract, will state the payment schedule. Contractors are good at telling the client how they’ll get paid. When he refers to “schedule”, I’m guessing he’s talking about construction schedule. Contractors are notorious for not working every day. They’ll take 1-2 days off from your project to work a small side job or be spread too thin. We’ve been successful with performance incentives for finishing a job prior to the deadline. This cost more money but less aggravation. If a contractors is running a legitimate construction business, safety is covered under general liability, workers comp, and OSHA compliance. When hearing quality control, to me that has to do with workmanship and contract compliance. If you’re not watching the work being performed, how do you monitor workmanship? If inspections are being completed by the building department, you’ll have some reassurance the work behind the walls is acceptable. The finer details of the exterior work will give you some indication of how the contractor’s work is. From there, you can draw conclusions on the overall workmanship. Contract compliance is a big concern for us at AHS. Accessibility is in the construction details. Is the seat installed that the right height or exact location for safe transfers? Is the plumbing rough-in position properly for independent water control? These are the quality control procedures you should be concerned with. We do a thorogh job inspecting the work regularly throughout the project and frequently require contractors to redo work that doesn’t comply with our plans. At AHS, we say “plan your work and work your plan”. All projects, even the smaller ones, need some type of plan. Even if its a 2-D CAD drawing showing hand rail placements. Without a plan, how do you know you’ll get what you need? If you need a drawing or a simple plan created for your project, send me an email. Sometimes we can create a drawing in less than 1 hour.